SEA CHANGE In the wake of California’s historic drought, the free-for-all use of groundwater is coming to an end as Napa and Sonoma counties work to implement a new state law that requires they monitor and regulate their water use. Call it a tale of two counties. A new state law requires that local governments regulate groundwater for the first time. Sonoma County has begun a lengthy process to create long-term sustainable groundwater management plans for its at-risk water basins. Napa County, by contrast, is taking an alternate route, as it argues its groundwater use is already sustainably managed. While Sonoma County has been praised for its go-slow process, critics say Napa County is fast-tracking its plan in an effort to avoid substantive changes to water use dominated by the wine industry. But Napa County officials counter that a recently written groundwater analysis says that, in effect, while there are challenges, the county's groundwater is sustainable and it has a plan to keep it that way. Approval of the plan comes before the Napa County Board of Supervisors on Dec. 13. Up until last year, when the law went into effect, groundwater could generally be pumped with impunity. "It was in essence a race to the bottom," says Michael Kiparsky, director of UC Berkeley School of Law's Wheeler Water Institute. But in the wake of the state's unprecedented drought and widespread well failure in the Central Valley, Gov. Brown signed the Sustainable Groundwater Management Act (SGMA) in 2014. The legislation requires groundwater management plans that avoid half a dozen "undesirable results," such as lowering groundwater levels, degraded water quality, land subsidence and saltwater intrusion into groundwater. 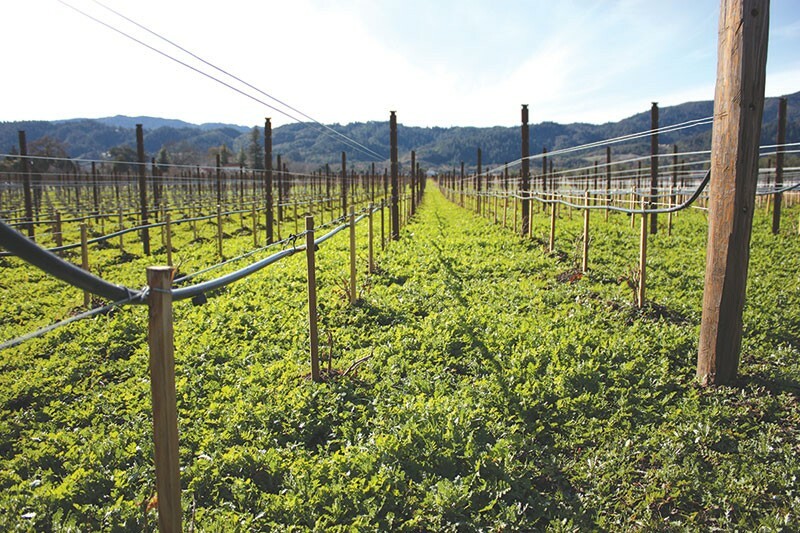 The SGMA will usher in a new era for agricultural areas like Napa and Sonoma counties. Since agriculture consumes the greatest amount of groundwater in the state, the law represents a sea change for farmers who used to be able to pump water without concern for impacts on water supply. In water basins designated medium- and high-priority by California's Department of Water Resources, the state requires the creation of a groundwater management plan, a blueprint for managing groundwater over the long-term. But rather than dictate how local governments manage their groundwater, the SGMA directs local agencies to create their own sustainability plans, lest the state impose one on them. To do this, local jurisdictions must form a groundwater sustainability agency (GSA). It's these agencies' responsibility to create and implement a plan. Sonoma County has three medium-priority basins and is in the process of creating GSAs for each of them. The Sonoma County Water Agency, which is spearheading the county's groundwater management plans, has reached out to about 30 organizations in response to the SGMA and has conducted some 20 public briefings on the process at various boards of supervisors and city council meetings around the county. The county has until 2017 to create its GSAs and until 2022 to submit groundwater sustainability plans (GSP). Napa County has one medium-priority basin, the Napa Valley Sub-Basin, which runs along the valley floor from Calistoga to Napa. Because it believes its groundwater has been sustainably managed for the past 10 years, the Napa County Board of Supervisors is taking advantage of a loophole that allows it to avoid the lengthy public process required to create a GSA and GSP. The SGMA allows local jurisdictions to submit an alternative plan if they can prove their groundwater is being sustainably managed. Alternative plans must be submitted by Jan. 1, 2017.